SHOWTIME Performing Arts Theatre holds ongoing auditions for our Song and Dance Triple Threat Performance Troupe. 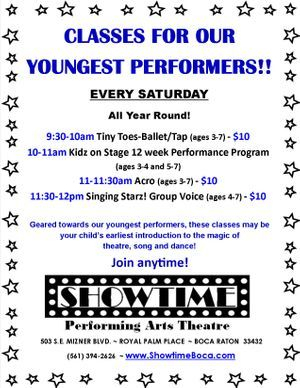 Membership includes ALL GROUP dance, acting and voice classes! to schedule your audition appointment time.